Spikes of lavender flowers are dried and presented in bunches for sale at the Cours Saleya in Nice, Provence, France. 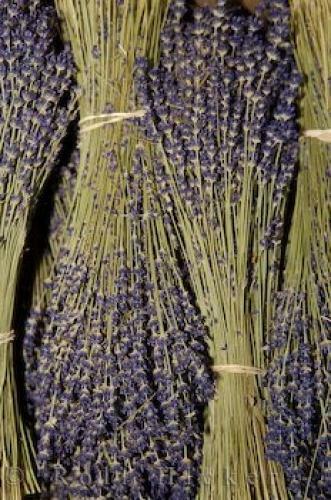 Bundles of dried lavender at the markets, Cours Saleya in the Old Town of Nice, Provence, Cote d'Azur, France, Europe. in bunches at the markets in Nice.